Honestly where has this month gone.. the weeks have flown by to the point where I go on holiday a week on Friday (27th) it is very mad and now I am trying to get all the last minute things I need. So many toliteries, euros, clothes that you realise you need, making sure you have enough have bags to put your make up in and toliteries etc. 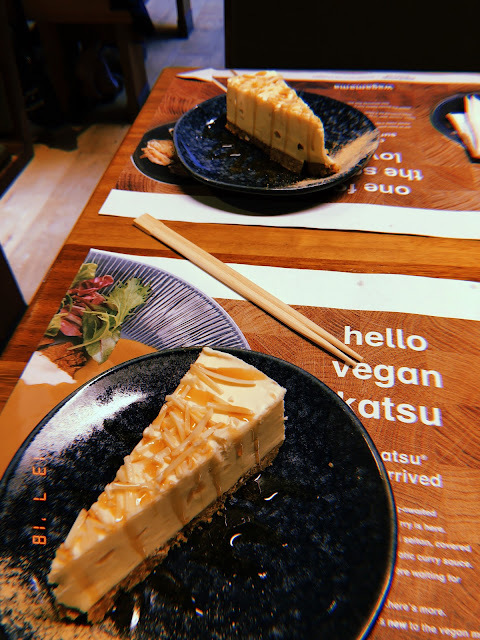 It honestly can be so stressful however I personally say that I managed to tick everything off I have just said today, the day I am writing this post which is Wednesday 18th. Yes go me and quite frankly I feel like it is going to come round so quick and I want everything to be ready so I can pack a week today. Who else is going away this summer? I am rather excited to be jetting off to Crete and it will be my third time too. Also funny story, my grandparents are actually coming too so there will be 6 of us now instead of 4. I am even more looking forard to it as we have never been on holiday with me so it will be quite exciting and they will be wanting to take so many pictures. Whilst I'm away I won't be publishing any more blog posts, the week will be to relax in the sun and enjoy spending time away with the family and won't have to think about work or anything else. I also believe it is very important to have a break of everything whilst your away,, sometimes just not being able to use your phone can be the best thing. Social media can be too much and I really like to not think about Instagram for a little while. So this is the perfect excuse to not use it. Anyway I also feel this month my instagram feed and has been filled with lots of my outfits and style inspiration which I have been loving. 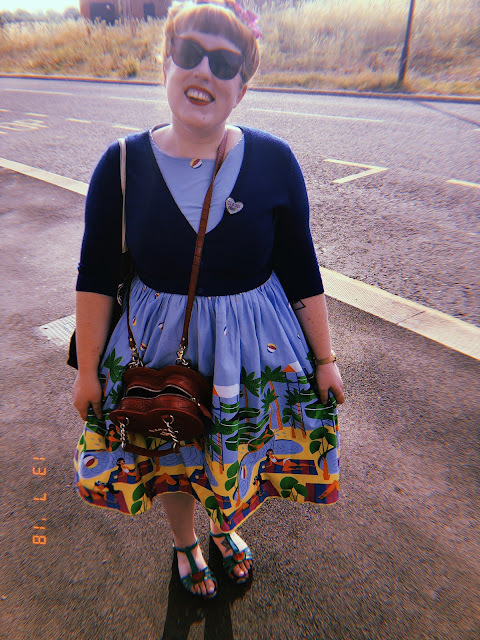 The photo of me above at the very start of this blog post was taken by my favourite work girl last Friday when had a little date night and ended up going to Wagamama's for tea and chatted so much about so many things. At one point we were just in full swing of things we just had no idea what we were going to order.. it was a good night. Here are a few photos below..
Last but not least my new earring collection, I bought all of these from Topshop (in the first picture) and I love them. Some are perfect for work and others are perfect for weekends and most importantly my holiday. 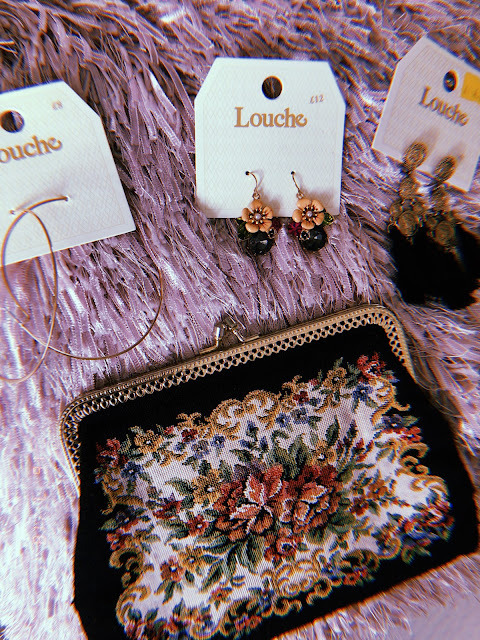 I also got the next ones from Joy which actually do amazing earrings and the most gorgeous vintage clutch from Bowler Vintage in York where I'm from. Don't you just love it?